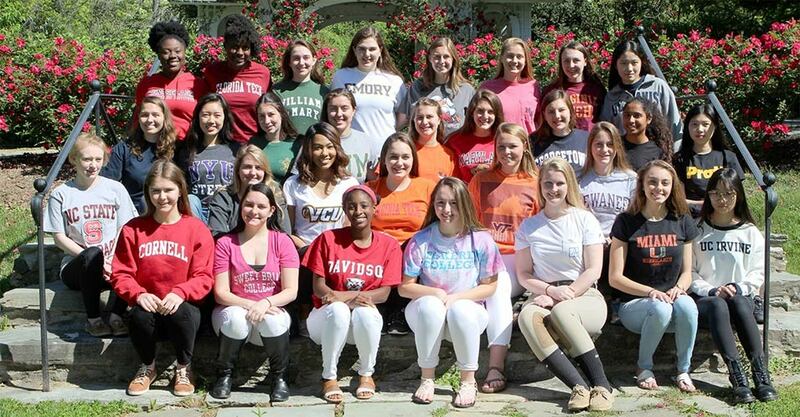 Founded in 1914, Foxcroft School is a premier boarding and day school for girls in grades 9 through 12 and post grad located in the heart of Virginia horse country just 43 miles outside of Washington, DC. Everything we do is curriculum. Our 500-acre campus is a learning laboratory that inspires girls to challenge themselves in and out of the classroom. We offer 79 courses, including 15 APs — in six disciplines as well as opportunities for independent study, additional courses online through One Schoolhouse, and a humanities track for non-native English speakers. Our unique approach to STEM education empowers girls to pursue fields of study that are typically underrepresented by women. From the time girls arrive at Foxcroft, they can feel a strong sense of community here. Our dedicated faculty, the majority of whom live on campus, serve as advisors who meet them weekly, and share mealtimes in the dining hall. Girls feel supported and cared for in their home away from home. Our five dormitories each house between 20-45 girls from across the United States and the globe. 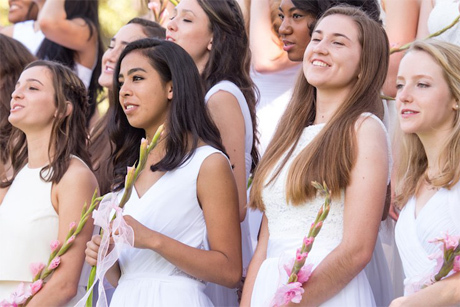 On campus, girls can choose from a variety of clubs and student leadership opportunities designed to enhance their learning and living experiences here. With Washington, DC within an hour drive, girls enjoy spending time in our nation’s capital for educational, cultural, and social outings such as museum field trips, concert performances, and shopping. Foxcroft School’s motto, mens sana in corpore sano, means a healthy mind in a healthy body. Physical activity is critical to development and an exciting part of life at Foxcroft. Students may choose to play an interscholastic sport, to participate in a variety of non-competitive sports and P.E. classes, or to ride. Our outstanding Riding Program accommodates all levels of ability and a variety of disciplines and our Exceptional Proficiency Program enables girls to pursue special talents and passions beyond Foxcroft. accepted at a "Five First-Choice College"
In addition to financial assistance based on need, many colleges offer “merit” scholarships, mostly to encourage talented students to come to their school. Foxcroft girls are in demand!